By Kelle Clarke on July 25, 2012 - John F. Robinson is the Founder, President and CEO of The National Minority Business Council (NMBC), a non-profit organization that has been instrumental in fostering small businesses by providing educational opportunities, business seminars and a wide array of professional services to small businesses and women and minority business owners. By NNA Staff on July 25, 2012 - With the housing market still reeling from the impacts of robo-signing, the mortgage industry is now experiencing a surge in another form of fraud — collusion. Hotline Tip: Jurat Or Acknowledgment? By NNA Staff on July 25, 2012 - A client asked me to notarize a letter that includes the phrase “subscribed and sworn to me this __ day of _____.” Would I use a California Jurat or a California all-purpose certificate of acknowledgment for this notarization? By NNA Staff on July 25, 2012 - Did you miss the NNA’s “How to Complete a Journal Entry” webinar because it conflicted with your schedule? If so, you may now view every webinar dating back to 2009 through the NNA’s new Webinar Archives page at NationalNotary.org. By NNA Staff on July 25, 2012 - In recognition of the 30th Summer Olympics in London, the National Notary Association will host its own "Notary Summer Games" beginning Monday, July 30. By Kelle Clarke on July 19, 2012 - California’sHomeowner Bill of Rights was signed into law this month, providing homeowners and borrowers increased protections throughout the mortgage and foreclosure process. By Michael Lewis on July 19, 2012 - The Consumer Finance Protection Bureau has proposed revisions to financial disclosure forms that are included in mortgage closing document packages in an effort to simplify mortgage closings. By Kelle Clarke on July 19, 2012 - New York has joined a growing number of states in proposing strict regulations on the methods Notaries may use to advertise their services. 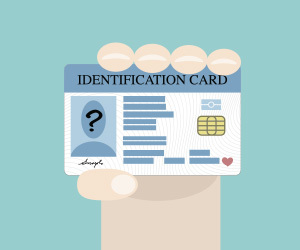 By David Thun on July 18, 2012 - Issues with identification documents are common. What if the ID has expired? What if it is a foreign ID? Test your knowledge with our Notary quiz. Hotline Tip: How Do I Properly Dispose Of My Outdated Notary Seal? By NNA Staff on July 18, 2012 - I recently renewed my commission and received my new Notary seal. How do I go about properly destroying my old Notary seal?